Written and media by Christian Caldozo. 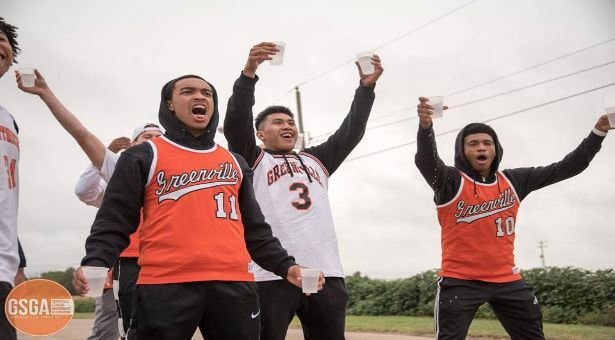 The high-powered Men’s Basketball Team of Greenville University finally enters into their first week of the season. On Monday, October 15 the team had their first official practice of the 2017-2018 season. All 37 players on the roster were present that day, ready to compete on the basketball court. After a long preseason, the players were ready to get back into the swing of the basketball season. 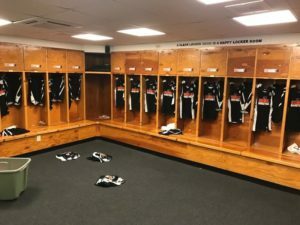 During their preseason they had several workouts that included running on the track, lifting weights, and getting up early in the morning for shooting and open gym. These players are more than ready to make a statement this season in the SLIAC Conference. Senior Ethan Leib described the first practice as “very intense and competitive”. The coaching staff prepared the players well, breaking down the rotations and concept of running the infamous “system” offense. Coach Barber also introduced his famous way of building men for others, known as “The Big Time.” Leib stated that “during the second hour of practice, things really started to heat up because we went into more competition drills.” With many new faces on the team, one can imagine how intense it got trying to fight for a spot on the roster. “The hardest part about practice was the end when we had to finish practice with conditioning,” said Leib. The team had to finish a hard and intense practice with a lot of sprints. GU Men’s Basketball players often do this during practice to make sure they are keeping in shape during the season. In light of this fact, Leib commented, “Everyone was pretty tired after the conditioning. I heard some players saying that they were light-headed and close to passing out. At the end though, it will all be worth it on the court when we are a lot more conditioned than other teams.” The team ran three different sets of sprints to end their practice, and it timed so that each player had to give it their all. As one can see, the Men’s Basketball practices are no joke. With the type of style that is played, the team must keep up to par every game by working hard in practice. The first practice is in the books, and one can only imagine how the players feel practicing like this all the time. These players may seem invincible on the court, but after practice, they are all tired and in great need of rest. You can expect to see more from the Men’s Basketball team through Midnight Madness recaps and an alumni game during homecoming week. 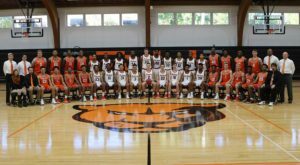 Their first game is scheduled to be on November 15 against Transylvania, and their first home game is November 21 against Knox. The Panther’s ultimate goal this year is to win conference and play in the national tournament. If they are able to do this, the team will go down in the history books. An exciting season is approaching for the Panthers, so be sure to support! Check out last year’s Midnight Madness video below!